The post Meet Bolivia’s Dog Savior, Fernando “Ferchy” Kushner by Alan De Herrera appeared first on Dogster. Copying over entire articles contravenes on copyright laws. You may not be aware of it, but all of these articles were assigned, contracted and pay money, so they aren’t considered public domain. However, we appreciate that you like the article and would love it if you continued sharing merely the first paragraph of an article, then linking out to the rest of the piece on Dogster.com. 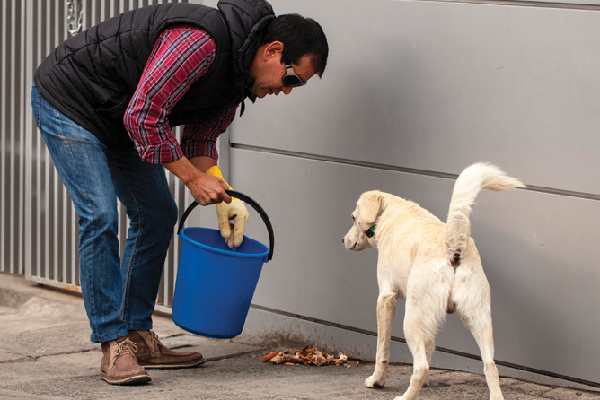 Meet La Paz, Bolivia’s, puppy savior, 45 -year-old Fernando “Ferchy” Kushner. Ferchy has attained it his life’s mission to help Bolivia’s homeless dog population. In 2015, he formed individual organizations Alimenta Perritos de la Calle( Feeding Street Dogs ), which has sterilized over 800 puppies with the help of volunteers and veterinarians. 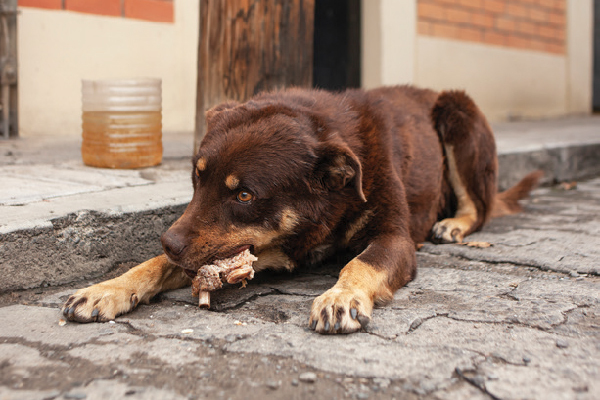 Ferchy’s organization feeds nearly 1,000 stray dogs a day. Photography( c) Alan De Herrera. Last March I tagged together with Ferchy to satisfied some of the beloved street dogs he’s been helping. With two large pails full of discarded chicken, we set off on foot to feed some of the nearly 1,000 hungry puppies he encounters each day. With the help of local restaurants, Ferchy has created a sort of table-scrap recycling program. Within a few minutes we encountered our first group of dogs sleeping in a park. With a soft whistle and a loud tap on his pail, Ferchy summoned his four-legged friends who ran to us with tails wagging double time. After a round of hugs and scratches and a few handful of chicken flung on the ground, Ferchy was quickly on his way to find more mouths to feed. In merely an hour’s stroll, we had fed 34 puppies before Ferchy returned to his truck to refill his buckets. “My goal is to end the stray dog problem here in Bolivia, ” Ferchy says. Not an easy chore. Based on statistics, the homeless dog population in La Paz alone is a staggering 350,000 puppies. What inspired him to start working with these dogs? An unexpected furry encounter with a puppy named Choco helped shape his new life purpose. “We made a connection, and I knew he was hungry, ” Ferchy says. “I could feel this dog’s spirit, and I knew I needed to help him.” Ferchy discovered Choco some food that day, and their bond was soon forged. From then on, Ferchy set out each day to meet Choco and feed him. Before long, he felt a deep desire to start helping all dogs he encountered. One of Bolivia’s street dogs. Photography( c) Alan De Herrera. Social media and education are an integral part of Ferchy’s work. He regularly posts information on Facebook about dogs available for adoption. In addition, he’s visited over 100 schools, speaking to students about responsible puppy care and ownership. To date, his organization has adopted out over 600 puppies in just three years. Thumbnail: Photography( c) Alan De Herrera. Alan De Herrera is a travel photojournalist working domestically and internationally specializing in humanitarian, wildlife and puppy stories. He lives in Laguna Beach, California, with his Cocker Spaniel/ Labrador mix, Rio. Editor’s note: This article appeared in Dogster magazine. Have you watched the new Dogster print magazine in stores? Or in the waiting room of your vet’s office? Subscribe now to get Dogster magazine delivered straight to you! The post Meet Bolivia’s Dog Savior, Fernando “Ferchy” Kushner by Alan De Herrera appeared first on Dogster. Copying over entire articles contravenes on copyright laws. You may not be aware of it, but all of these articles were assigned, contracted and paid for, so they aren’t considered public domain. However, we appreciate that you like the article and would love it if you continued sharing only the first paragraph of an article, then linking out to the rest of the piece on Dogster.com. Next articleHow a trip across the border inspired a doctor to fight for health care equality.